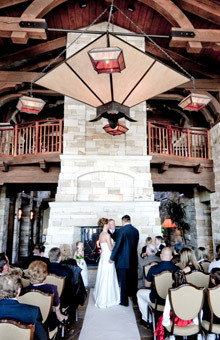 An important first step in the Ceremony Process is to arrange a complimentary meeting. Typically this meeting lasts about an hour and is held at a convenient local location. It’s at this meeting that we discuss your vision of your wedding day and your ceremony and we also get to know each other better. I also review my Wedding Ceremony Workbook: A complimentary 90 page planner that is filled with lots of ceremony ideas, readings and rituals. The second step is to begin the process of creating your Wedding Ceremony. Included in this step is creating a timeline and scheduling email inputs and drafts. An additional meeting, prior to your wedding, is also planned. It’s at this next meeting that we’ll review your final Wedding Ceremony and cover any last minute details for your wedding. 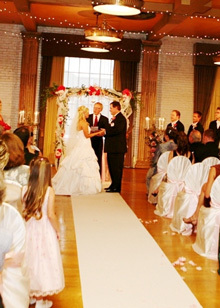 A live preview of your completed Wedding Ceremony is at your wedding rehearsal! It’s there that you’ll realize, and appreciate, our collective efforts. You’ll get to practice the components of your Ceremony, including vows, readings, and any rituals that have been integrated. I transition to becoming the person who will professionally direct and deliver your Wedding Ceremony. Your vision will become clear only when you can look into your own heart. Who looks outside, dreams; who looks inside awakens. "Girard, we really enjoyed having you as our Officiant! … and have many beautiful memories from our wedding thanks to you."